I've started blogging about Davao Food & Restaurant way back 2012, as I believe Davao City has a lot to offer for a hungry Travelers and Food Enthusiasts like me. Just to make it more precise and not to waste time here and to ensure that I didn't miss anything, I wanted you to explore PRIMO CAFE and GRILLE, a restaurant located in the heart of the city and is near Gaisano South Mall, People's Park, and Apo View Hotel. I am not a food expert, but for someone living here since birth and has the capability to tour you around, especially choosing a right place to unwind, chill and finding the most delicious food in my city, this place is a must try! 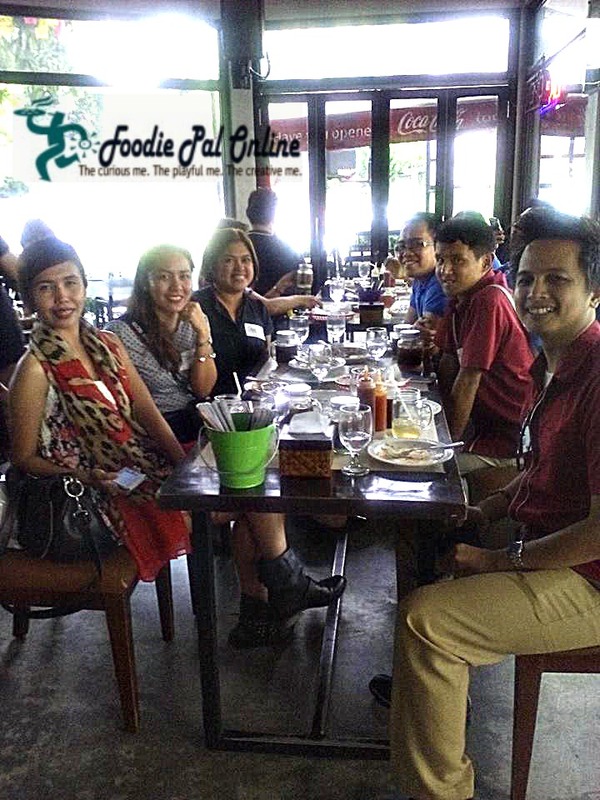 A privilege to join the New Food Menu Tasting together with the Davao Food Bloggers and Media. 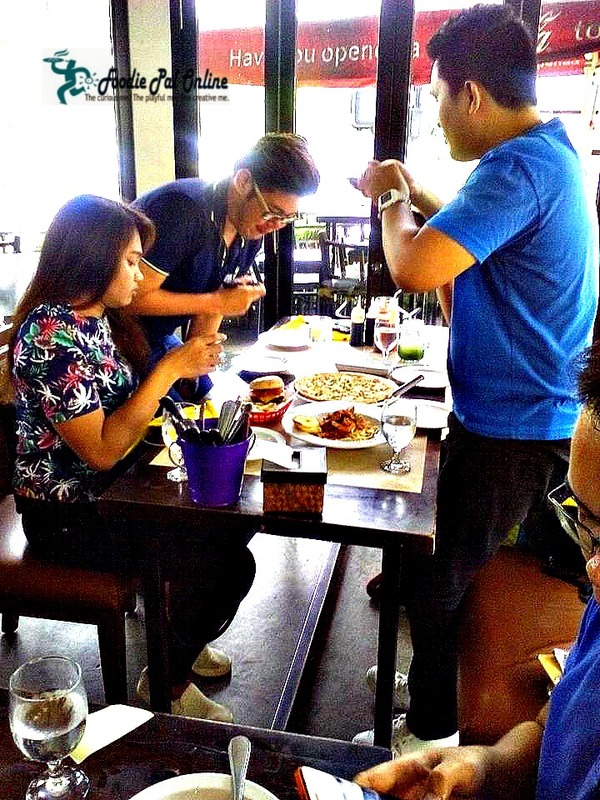 Though I already posted my review about their food, let us visit this place once again, for this time I will tour you inside the Primo Caffe and Grille, photo taken behind the scene (during the said event). Upon entering the restaurant, this is the first set you will see. I don't know how they call this place, but for me I call this one as the Receiving Area. It looks like a terrace of a house or a balcony type with small tables settings wherein you receive guests. 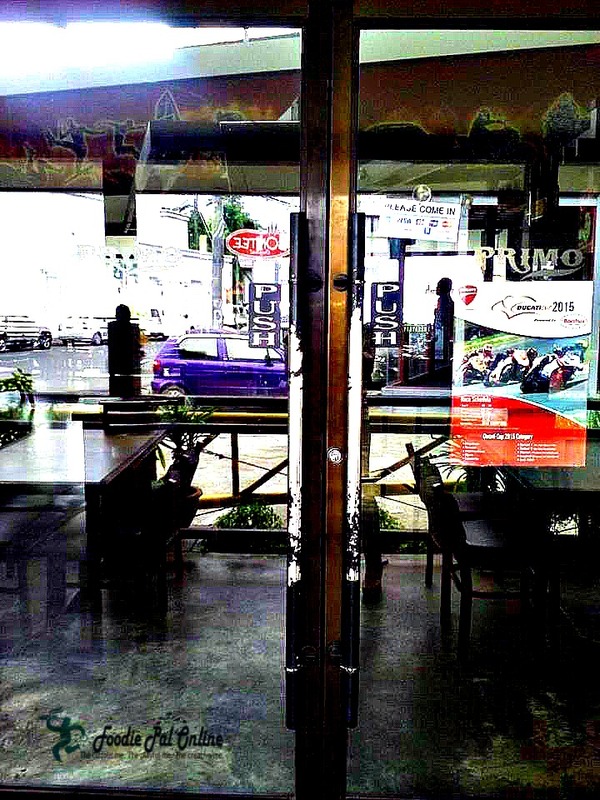 The full height glass door which divides the terrace and the main dining of the restaurant. The main dining area can accommodate up to 50+ people, were set are divided into different enticing set-up. 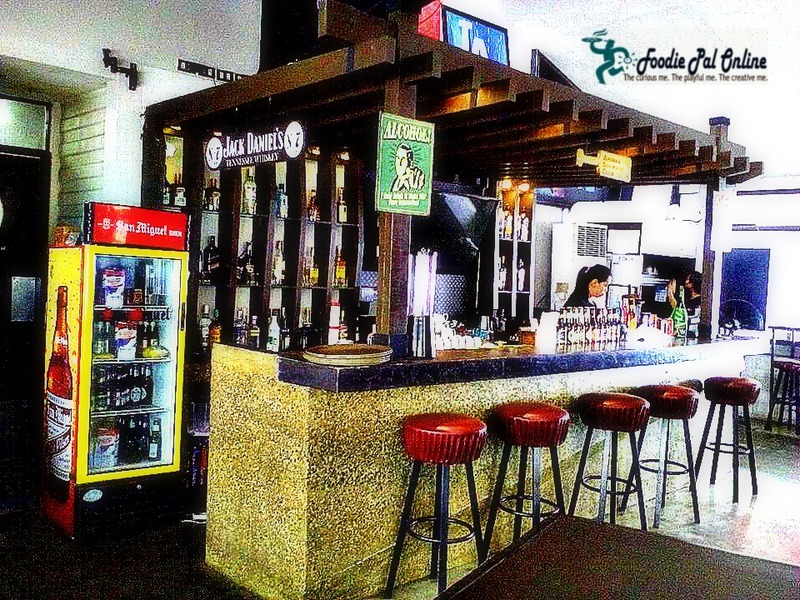 It can accommodate 4 to 6 persons, just a small meet ups or chilling out with friends. 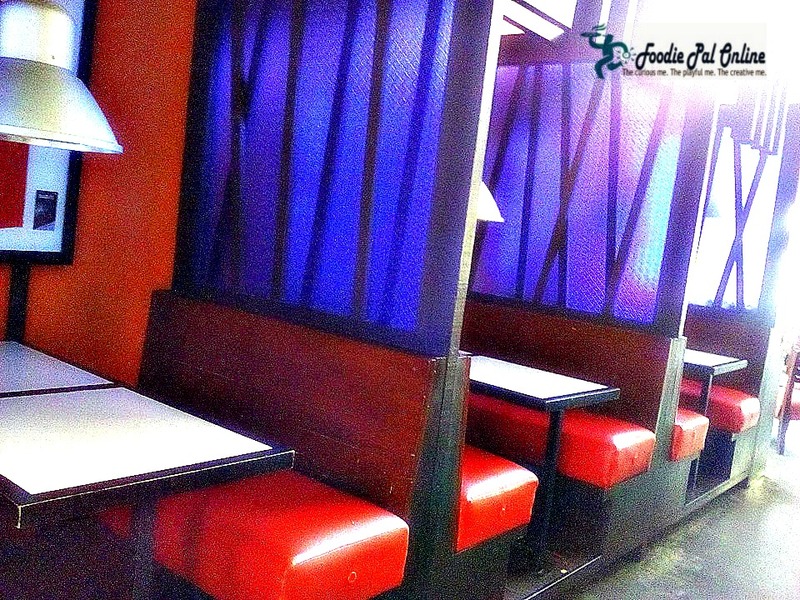 A semi-private location, also good for two, the right ambiance for a romantic date. If you are alone or want to spend some time alone this place is for you. 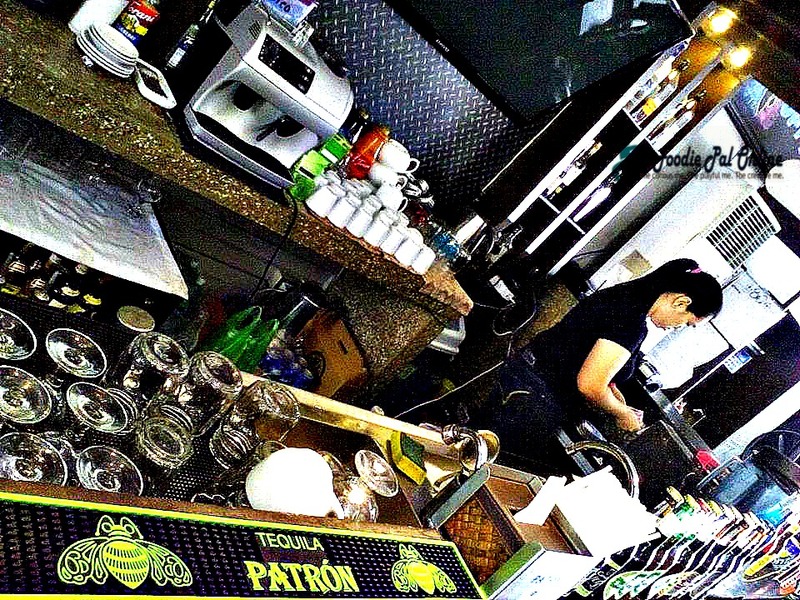 You will have a quality time chatting with the bar people, nicely serving you with a mug of drinks to cheer you up. Most of the time those who are fond of a sports league, they gathered here to watch it together! It's a BARKADA'S NIGHT Hang-out! PRIMO offers NBA LEAGUE with their wide screen LCD monitor. This is where we have our Food Tasting, the place really beats you over the head with its ambiance. 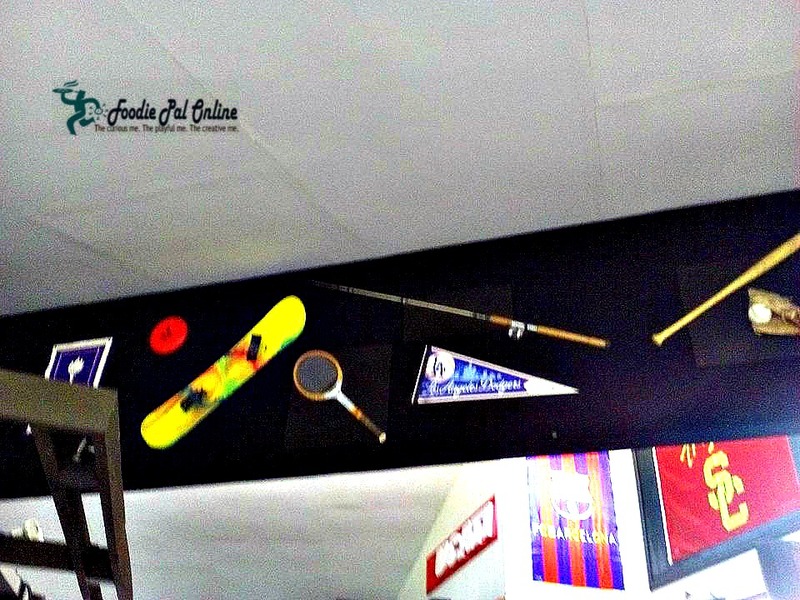 The building itself is riddled with sporty stuff & generally old memoirs from different sports events, from ceiling to walls. To the right side is another outdoor dining area, which I called the veranda. 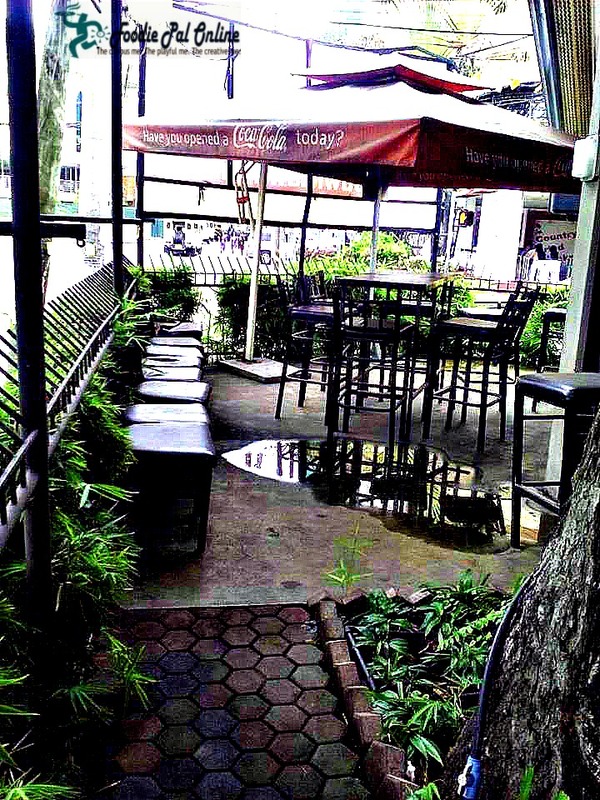 A small spot for those who loves to drink outside, a cool shades. 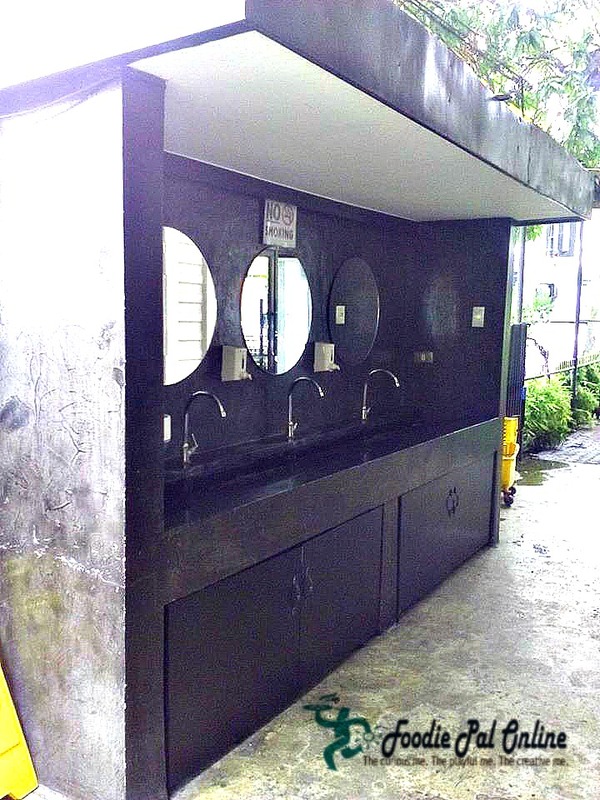 Beside is the Wash Area, fronting the Comfort Room(I forget to get picture of their CR) sorry about that. The restaurant is not that HUGE, but it can accommodate great crowds. So this could be a good choice for times with family and friends. It was cozy and delightful! The place looks nice more like a bar kinds. Wish to see few food pics to actually see what you have tried and tasted. Sounds like a fun event. The restaurant looks more of a bar to me just like Pooja has observed. The seating options make Primo a good place for just about anything. It also tells me that it could be a nice venue for get-togethers or mini-launches. The place looks so huge with different setups that can cater to different groups. 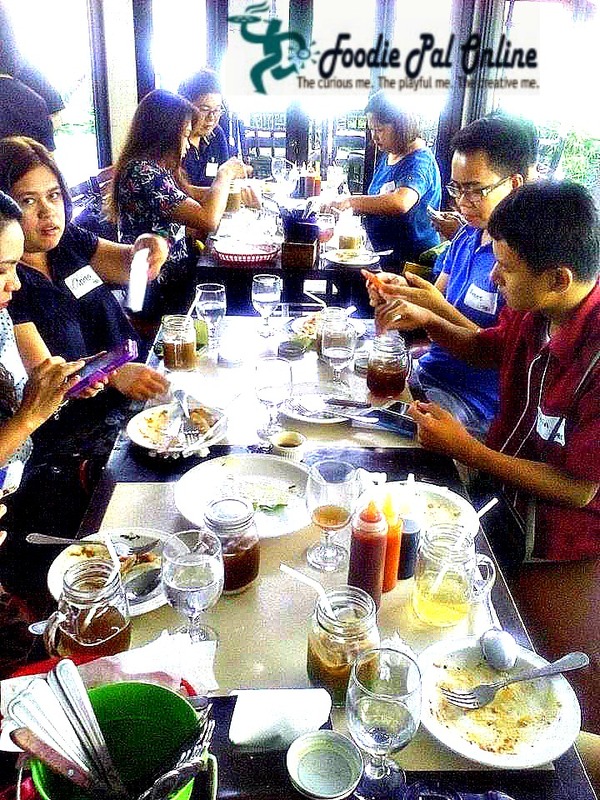 Inviting bloggers really make the opening of a new restaurant more widely known. It is up to the chef though to keep their customers interested in their food with quality and variety. It looks like a nice place to sit back and relax with some buddies. It gave off that bar appeal. Just by looking at it, it did look like a sports bar. It's good they had different seats for different groups (as mentioned by Franc) as I'm pretty sure, most of their customers come in groups. Nice place but I reallydon't like the interior. As if mahihilo ako sa color. The Primo is slightly more conservative but I like their style. Hopefully the food is good. i laughed at the picture of people taking pictures of the food all at the same time. what a familiar sight during food tasting! however, your pictures are pretty grainy. is it an uploading issue? Wait, WHERE's the FOODIE!? Lol... I was waiting for the delicious food! why did you hide it and show me so little pictures? Link posted above for the Food Photos and the review. 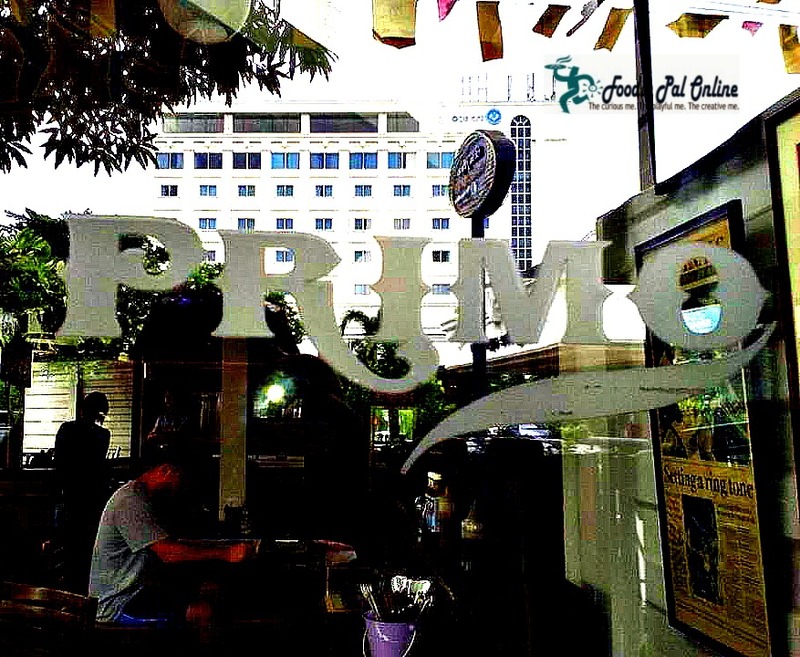 A friend also recommends Primo because of the good ambiance and food. Plus its near in the hotel where she stayed. Hope I can join this event. Thanks for sharing. If I got chance, I will try it. What filters did you use in your photos ? While artistic, it doesn't give ma a real feel off the place. HDR Ling Tan. 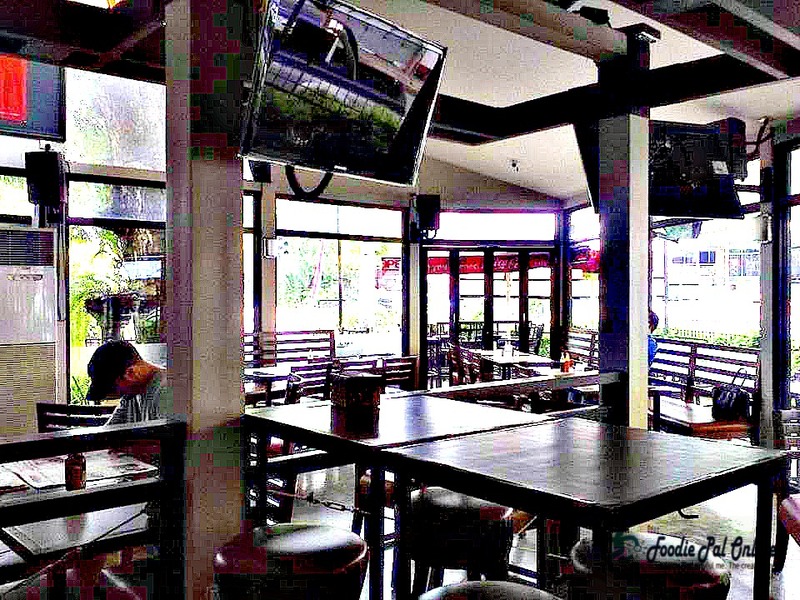 The place is a bar restaurant., good place to hang out especially to all sporty people. I love the place; it's like an Italian piazza. 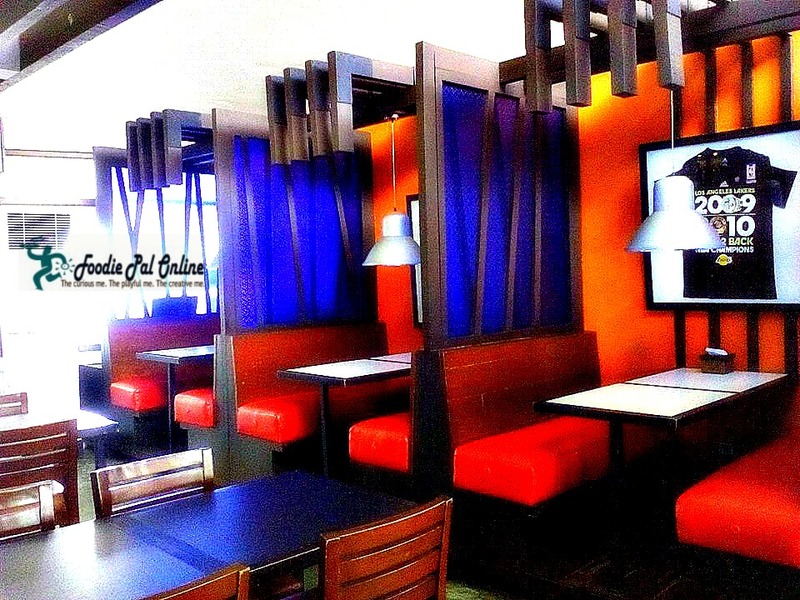 Sometimes, environment or restaurant setting brings value to a place. Lovely ambiance and cool surroundings. The place looks huge and airy. And smart for them to have a large room for special events. 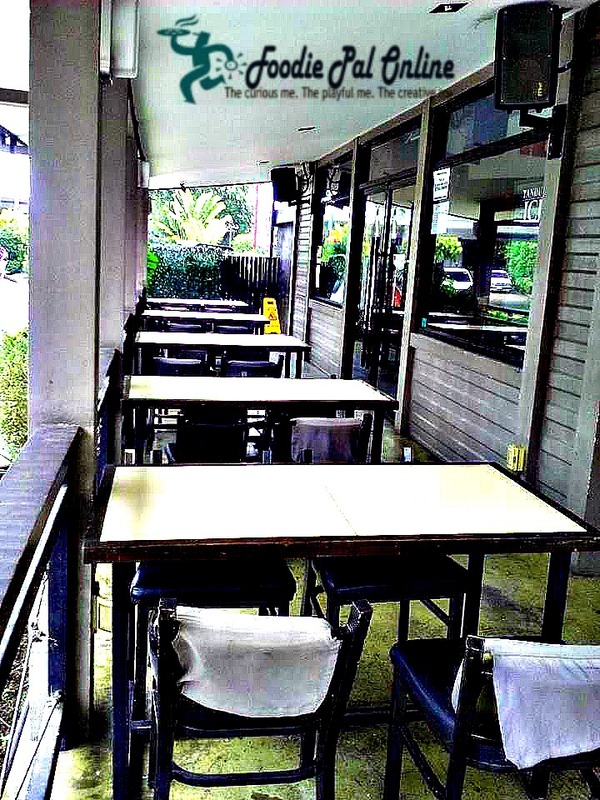 The outside veranda is my favorite, would love to dine outside and enjoy the breeze at the same time people-watch. really like the red and blue colours in the seating area. It is a shame we don't have anything like that here. Lots of food! I am far from an expert in food, but I've been eating it my entire life! I would love to do something like this with fellow bloggers.